The future Android Go that will work well on ultra-low-cost smartphones will open up new horizons for the Google platform, but it don't worry about added fragmentation, as this is still a complete Android O. 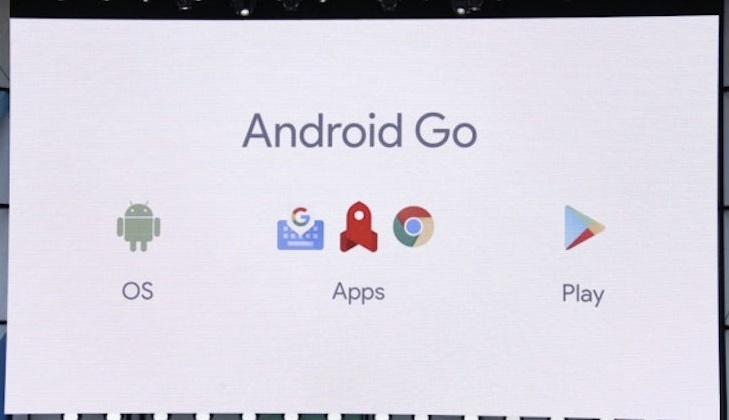 The announcement of Android Go on Google I/O, designed to work well on smartphones with limited hardware (less than 1GB of RAM), was well received, but it's important to clarify that this is not another variant of Android: Android Go is still Android O.
Android Go will not be a different version of Android, but just a specific set of adjustments made to Android O in order to work better on devices much more modest. For example, some interface animations may be disabled, and priority will be given to streamlined apps such as YouTube Go (already available on the Play Store) that have smaller sizes and focus on data saving and maximum efficiency..